what do these changes mean for the future of the ecommerce industry? 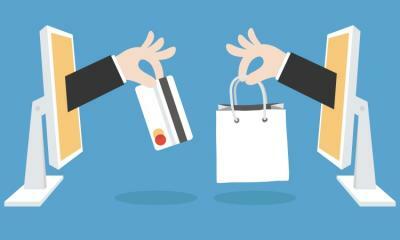 How can your business adapt its strategies to reap the numerous benefits of social commerce? Let’s find out. Let’s say your favorite ecommerce site and your most beloved social media platform had a baby. It would be named social commerce (or, perhaps, Amazagram? FaceBay?). 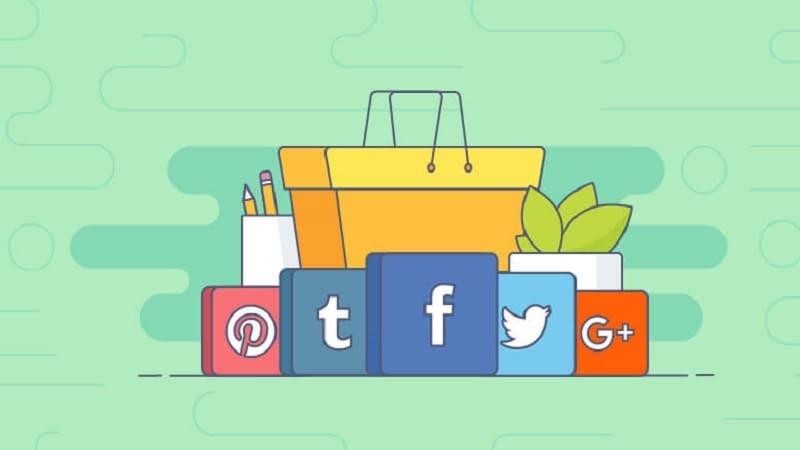 Social Commerce is an exciting, relatively new offering by some social media channels that essentially makes it possible to buy products from right within Facebook, Pinterest, Snapchat, and Instagram. Social media has previously been used as a tool to capture customers’ attention and direct them to an ecommerce website, but now social media (in some instances) has become that ecommerce website. But what do these changes mean for the future of the ecommerce industry? How can your business adapt its strategies to reap the numerous benefits of social commerce? Let’s find out. Why is social commerce so important? Just think of the sheer power of social media itself. There are over 2.5 billion social media users worldwide, and the average internet user is on social media and messaging services for over 2 hours daily (a number that continues to increase year after year). So what if you could harness the time and energy that users spend on social media to create a straightforward shopping experience? Recommended: Is Investing in Social Media Marketing Worthwhile? What Should Be ROI? Social commerce allows businesses to bring goods and servces directly to the consumers, on the mediums they prefer most. It, therefore, offers a more convenient shopping experience for consumers. For sellers, it gives yet another channel by which to reach the masses and target their main demographics. 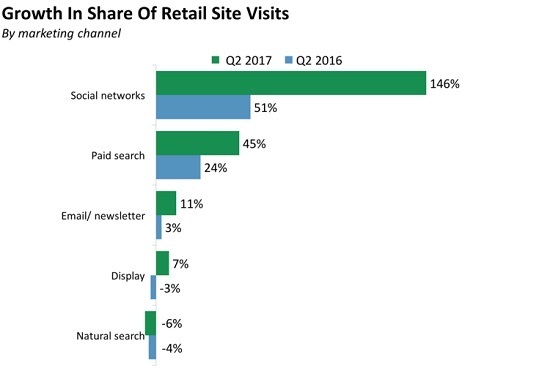 In 2017, the top 500 retailers earned around 6.5 billion dollars from social commerce sales alone—a 24% increase from the 2016 profits. 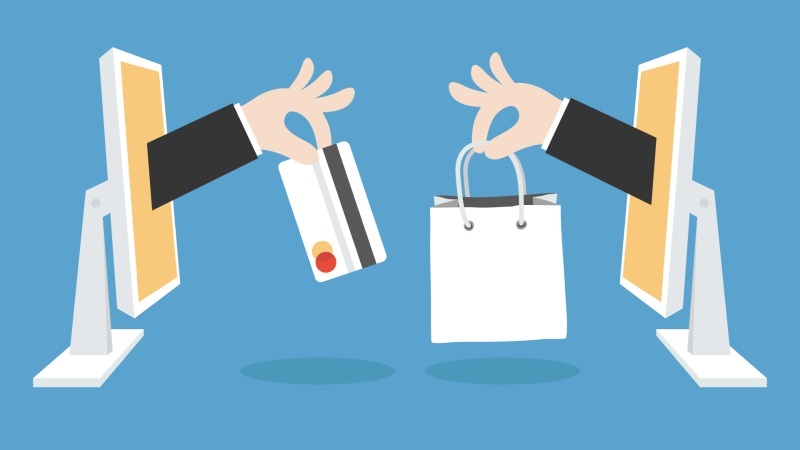 How is social commerce changing the ecommerce industry? Years ago, it was enough for a company to just have a presence on social media. It was a much simpler time when regular timeline posting and responding to comments was usually enough in the way of strategy. However, social media has evolved to become a powerful tool for users when looking to discover, interact with and now shop on new brands. Social commerce is not only becoming a necessity for businesses to invest in, but it is also changing consumer expectations, and therefore the way businesses must interact with consumers in order to be successful. Though this new terrain can be tricky to navigate, there are some important factors to keep in mind that will make adding social commerce to your commerce offering much easier. From the one-click purchase button on Amazon to the free and fast delivery options offered from many major retailers, convenience is king when it comes to today’s online shoppers. However, what social commerce has that traditional ecommerce sites do not is the preexisting user base that includes millions and millions of daily active users. Instagram alone has more than 500 million daily active users! If you’re scrolling through your Instagram feed, you’ll likely notice that brands are now posting a “view on website” link so users can be diverted from the image directly to the product page. Popular brands such as MVMT, Shopbop, Sephora, and Nordstrom are just a few examples of businesses who take full advantage of this social commerce feature. What’s more convenient for consumers than being able to shop from a site or app that they already know, love, and spend plenty of time on? Consumers like to know that what they’re purchasing is in-demand, and social commerce allows them to find these products with ease. With social commerce, users can see what their friends like, send photos of products to their friends, and ask friends for their opinions on products, which will help influence their decision on whether or not to purchase. In fact, 70% of millennial consumers are influenced by the recommendations of their peers in buying decisions. This means that now, more than ever, it’s vital that brands distinguish themselves through shareable, quality content. Skincare brands Drunk Elephant and Glossier frequently share reviews from customers across their social media. 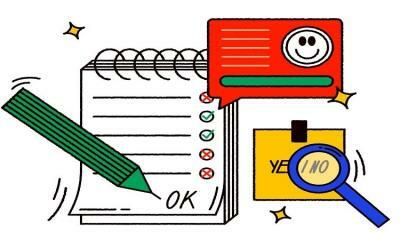 Glossier even does a weekly roundup of their favorite tags of the week so that their followers can see numerous rave reviews that fellow peers have written about their products. The success of social media should be enough to prove just how much most people (and therefore most consumers) value social interactions. Social commerce not only offers an easy way for consumers to share and discuss products with friends on the platform before and after buying, but it also allows users to see the opinions and experiences of others regarding different brands. Users can see other users’ reviews on certain products, recommendations of brands, etc. Social commerce is giving users all the enjoyment of social media, but with a retail spin! On traditional ecommerce sites, the heart of the brand is often overshadowed by the impersonal nature of the site itself. However, social commerce gives users a whole feed from which to gauge the ethos of a brand and engage with them directly. They can look at a brand’s Instagram stories, see the photos they’re tagged in, read their comments, and gain a much better understanding of the company they’re going to be giving their hard-earned money to. 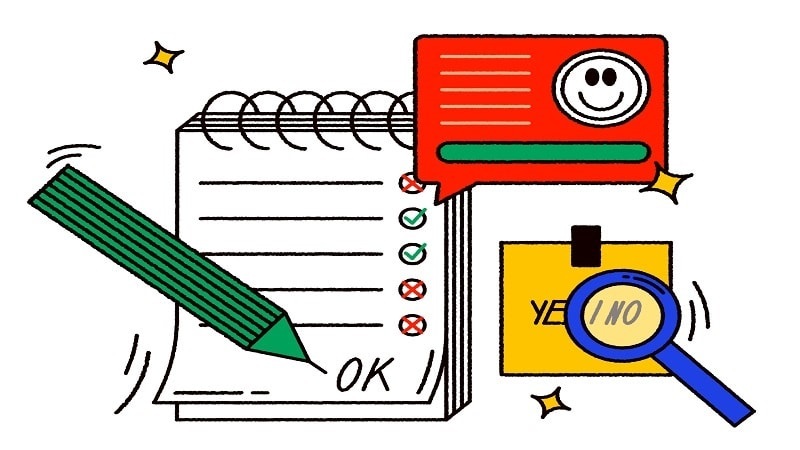 Instead of filling out a clinical contact form and waiting 48 hours for a representative to respond, users can turn to social commerce to do what they love doing—quickly connecting with people, and connecting with the brand. Clothing brand J.Crew often interacts with users via the comments sections of their posts. They provide helpful information on their products, respond to feedback, and answer general customer service inquiries. Visuals are always good for boosting consumer engagement, so it stands to reason that using more visual content is also a great way to boost sales. Part of why visuals are so effective in sales is simply based on our brain chemistry. If we hear a piece of information, we’re likely to remember only 10% of it three days later (juicy bits of gossip likely not included!). However, if we add a visual to the message, we’re likely to remember 65% of it. Social commerce channels incorporate the use of visual content directly into the sales process, leading to a better and more memorable buying experience. Facebook Marketplace, which allows users to buy and sell items amongst themselves, boasts 800 million users in 70 countries. Additionally, one in three people in the USA are users of the Marketplace platform. The increasing popularity of these types of commerce sites goes to show the value that today’s consumers are placing on social interaction and seller accessibility during the buying process. Perhaps not so surprisingly, nearly half of all consumers depend on influencer recommendations. 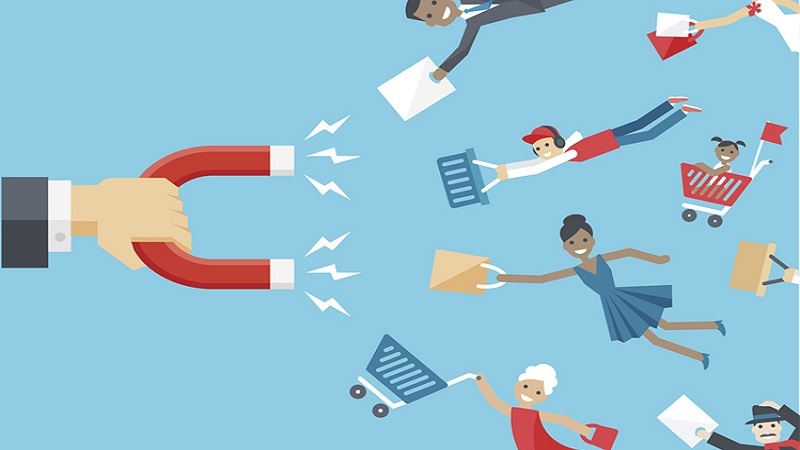 Social commerce makes it simpler than ever to seamlessly incorporate the power of influencer marketing into your sales strategy, and doing so is certainly a good idea. Fiji water hired fashion blogger and influencer Danielle Bernstein of We Wore What to market their product. Fiji, along with Bernstein, created the Bodyworewhat campaign to highlight the water brand’s commitment to hydrating those who prioritize fitness. 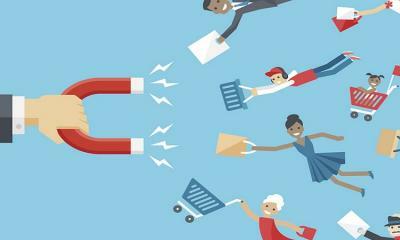 With the growth of social commerce will undoubtedly come the rise of even more brands looking to influencers for help in selling their products. There’s no question that social commerce is on the rise and won’t be going anywhere anytime soon. The growth of these new social sales platforms will mean a plenty of changes to the ecommerce industry and a widening of the scope of ecommerce in general. But this synergistic relationship between social media and ecommerce can open a world of incredible potential for brands that are ready to seize this exciting new opportunity. The best way for businesses to thrive in this bold new world is to take a two-pronged approach, utilizing both their ecommerce sites and social commerce platforms to gain as large a share of the market as possible. Ellan Dineen is the Marketing Associate at Design Wizard When she’s not hard at work in the Marketing Department, Ellan can be found en route to foreign lands with a book in her hand and a podcast in her ear. With a Master’s in English and Diploma in Social Media Marketing, she knows the importance of staying up-to-date with the industry’s latest trends and insights and is keen to pass these tips on to her readers.